In the last wedding Gabe and I styled we had the idea to use tree branches in vases and elsewhere to incorporate a really natural element. We recycled the idea for our Friend’s Thanksgiving table to achieve a feeling that was really Fall-like. 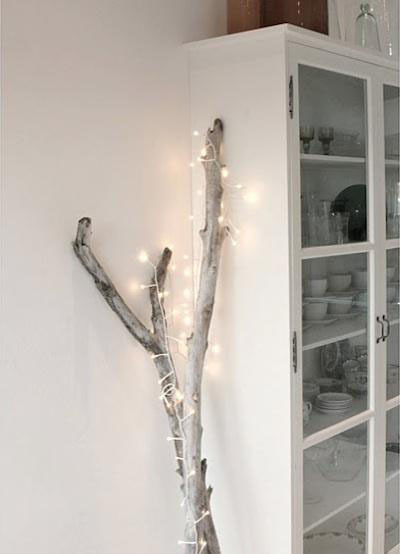 So, OF COURSE I was bound to love this idea from Remodelista that I came across today. In fact, it was similar to an idea that I’ve had for decorating my house – but they took it to another level. I’ll have to let you know which level I reach after I decorate this weekend.